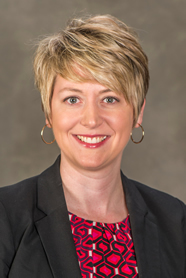 Prior to joining the law faculty at Southern Illinois University School of Law, Professor Angela Upchurch was a Professor of Law and the Associate Dean for Pedagogical Development at Capital University Law School. She also served as the Academic Director of the National Center for Adoption Law and Policy at Capital University Law School from 2007 to 2010. Her research interests include children and family law, procedural law, and the impact of dispute resolution systems on the interests of children and families. An expert in children and family law, Professor Upchurch participated in the 2008 White House Compassion in Action Roundtable on "Faith and Community Solutions for Orphans and Vulnerable Children" and presented on the Hague Treaty on Intercountry Adoption before the National Conference of State Legislatures. She has taught a variety of children and family law courses, including: Adoption Law; Children, Family and the States; Interdisciplinary Child Welfare Law; and Biotechnology and Reproduction Law. Professor Upchurch is also a recognized expert in law school pedagogy. She has presented on her innovative approaches to integrating technology into the law school classroom at several national teaching conferences, including the Institute for Law Teaching and Learning Annual Conference and the CALI Conference of Law School Computing. Professor Upchurch drew upon her innovative use of educational technology to co-author Civil Procedure: An Interactive Guide, an online interactive book for law students to be published by Carolina Academic Press. She has developed and led teaching workshops for law faculty at Capital University Law School, Loyola University Chicago School of Law, and the Ohio State University School of Law. Professor Upchurch also serves as the 2015 Program Committee Co-Chair for the AALS Teaching Methods Section. Professor Upchurch received her J.D. from Loyola University Chicago School of Law where she graduated first in her class and served as the editor-in-chief for the Loyola University Chicago Law Journal and as a Loyola Child Law Fellow. After graduation from law school, Professor Upchurch was a law clerk to the Honorable Michael M. Murphy of the United States Court of Appeals for the Tenth Circuit and to the Honorable Avern Cohn of the United States District Court for the Eastern District of Michigan.